One of the most common diseases of the mouth and lips is the simple cold sore. It is caused by the herpes virus, and many more of us carry the virus than show symptoms through cold sores. 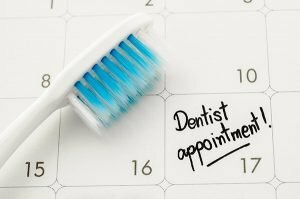 If you are suffering from an outbreak of cold sores and you’re not sure if they will affect a scheduled dental appointment, we ask that you give us a call. Normally, we recommend you let your cold sore heal before a dental appointment. This decreases the chance the sore on your lips will move to other parts of the body. If you do have a cold sore, don’t be too concerned. Most cold sores fade away in less than ten days, and then you’re ready to come into Main Beach Dental and get that checkup or treatment! We’re happy to reschedule your appointment. The herpes simplex virus type 1, which typically causes cold sores, is spread through contact including kissing or sharing utensils with an infected person. Once you have been exposed to the herpes simplex virus, it lies dormant until it is triggered. The virus can be triggered in various ways. The trick is to learn your personal triggers and avoid them! Prescription medication. Antiviral drugs can be used to speed healing. These drugs include famciclovir, acyclovir, and valacyclovir, and they are available by prescription. These medications are most effective when they’re taken when symptoms first appear, even before blisters are evident. If you feel a cold sore coming on, these medications can help heal cold sores or even stop them from breaking out at all. For regular sufferers, it may make sense to have a prescription in hand at all times so that the medications can be picked up at first symptoms. Cold compress. To help your cold sores heal quickly, try holding a cool, damp cloth against the sores. This can reduce redness and crusting and help it to heal more rapidly than if you let it alone, according to the Mayo Clinic. The Harvard Medical School also suggests applying ice. This may keep a full-blown cold sore from developing, and if the sore does appear, it may go away more quickly. The Journal of Professional Nursing Today suggests that keeping a sore hydrated by sucking on ice prevents drying, cracking, and developing secondary infections. Cold sore ointment. Cold sore ointment is available over-the-counter, and with frequent application can shorten a cold sore outbreak. The Mayo Clinic reports that creams can shorten an outbreak by as little as a few hours or as long as a day. Analgesics/pain relievers. These drugs treat the pain associated with cold sores and not the virus. You can get most of these over the counter at a store or pharmacy. There are also ointments and gels that can help relieve pain. Concerning prevention, the most important thing is to avoid spreading the virus. When HSV-1 is dormant, the risk of transmission is low. However, when the virus is active during outbreaks, extra caution is necessary. Here are a few simple precautions. When blisters are active, don’t kiss or have mouth-to-skin contact with anyone else. Keep your hands off sores as much as possible. Wash your hands regularly, so they stay germ-free and don’t spread the virus to others or around your body. Don’t share utensils, cups, makeup, food, razors or any other items that come in contact with your mouth (or other infection sites). Once the infection is gone, clean or throw out any intimate objects that have been in touch with your mouth (e.g. toothbrush, pillowcase, etc.). And then, once your cold sore is gone, give us a call at Main Beach Dental to schedule that appointment! Call us on (07) 5503 1177 or visit us at 11/26-30 Tedder Ave., Main Beach. Tags: Treating a cold soreWhat causes cold sores? PreviousPrevious post:Oral Spring Cleaning at Main Beach DentalNextNext post:Does Sparkling Water Cause Teeth to Lose Lustre?